MLZS boasts of a large campus with state of the art building for academic instruction. The building is complete with offices for Trustee, Principal, Relationship Manager and Administration on the ground floor. The with pre-primary classrooms alongwith Library, Math Lab, Science lab and the computer lab constitute the first floor. The staff room along with senior grades rest on second floor. The floors are connected with wide stairs with clean washrooms at each floor for easy access, airy corridors and well-ventilated classrooms. The classrooms also have been equipped with smart boards for interactive learning. The playground area is equally attractive. Large, open area, surrounded by natural beauty offers a breathtaking sight. The playground gives access to sports like Cricket, Soccer, Hockey and hand ball while there are separate areas for lawn tennis and basketball including a skating rink. The development of Innovation Lab is to bring out the “know how attitude” in the children and that can contribute to the society by his innovative though that he or she has learned from the education. MLZS Hinjawadi also believes that the students to understand the existing environment and contribute to the existing surrounding by his or her practical and innovative approach towards life. MLZS Hinjawadi also gives its students the knowledge of Virtual Reality and Artificial Intelligence that can help the student to get an upper edge during opting for higher education. The school has a large, spacious computer lab with latest operating system and software. The students are thus introduced to basics of computers gradually divulging them to advanced technology under the tutelage of well-trained, skilled and techno savvy faculty. In an exceedingly technological world, it is significant to expose the child to latest developments in Information Technology. It is also vital for the progress of the child to learn new techniques and develop necessary concepts for specialized study in the future. Language is the torch that enlightens the way to knowledge. An indispensable part of the students training, our language labs are well- equipped with polished study material, smart-interactive boards, headphones and projectors for a splendid experience. Learning language enables a child to understand the world in a much better manner. The child is thus exposed to unfamiliar cultures and traditions, comes to know about the variations of ethnicities around the globe and interacts with people with a wider assortment of knowledge and awareness. The language faculty with innovative active sessions and motivating guidance instill the love for languages in our students. Technological assistance helps the child to not only understand the language but also to experience it a ‘never-happened-before’ mode. Young students always relish being exposed to miracles of scientific experimentation. Science is always better learnt when the knowledge acquired in theory classes is realized in laboratories. Exploration and discovery are the mainstay for scientific development in today’s world. They can only be accomplished if the child is open to the elements of both, the classroom drill along with experimentation in the laboratories. Our laboratories are well designed and follow all international norms and rules to enable a child to explore and dazzle the world with her discovery. From time immemorial, mathematics has been the tool to decode greatest mysteries of the world and the universe. With development in teaching methods, which have become more and more experimental, learning mathematical concepts requires special training. This intricate puzzle needs to be solved outside the classroom, away from mere theoretical approach. MLZS makes this work even easier with its math lab which endows the child with insight into mathematical formulae, collection of data and rectifying errors through experimentation. The math lab consists of all the required material for a fascinating experience of the subject making mathematical studies a piece of cake. Music rejuvenates the mind and soul and refreshes it. At MLZS, we encourage students to express themselves in the language of melody. With a fully equipped music room with all instruments intact, we push the bar higher and higher. Our skilled vocals and instrumental trainers make sure that music in the heart never ceases to enthrall the world. A book is a man’s best friend. The library is a place where imagination is let loose to fly. Believing in this philosophy, we have created a stock-pile of books by eminent authors on various subjects to enlighten our young students. Newspapers and national and regional periodicals are readily available. The students develop a great habit of reading which inevitably improves their skills in language and reasoning. At MLZS, we encourage students to be creative and imaginative. It is said that a child’s world is best understood when he carves out his imagination with tints of his selection.The students love to play with colours and act like demigods, creating something new every day. Support and technical guidance helps them to appreciate art work by great artists and insists them to generate new art works and then take pride in it. The concept of overall educational distinction is realized only if the student excels in both academics and sports. 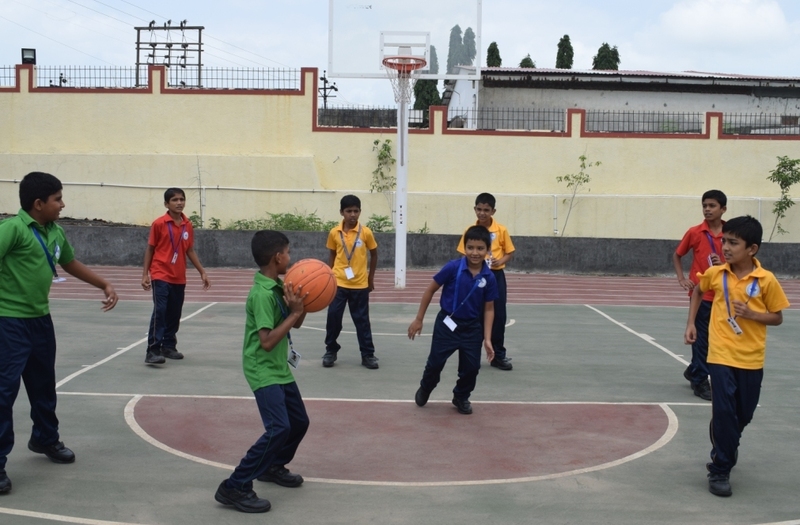 At MLZS, we introduce our students to the fascinating world of sports and games with special emphasis on team games like cricket, soccer and hockey along with individual sports namely martial arts and skating. Here, we aim to indoctrinate in them the qualities of sportsmanship, respect for hierarchy and a never say die spirit. As outdoor sports are inseparable part of a student’s growth, so are indoor games. Training in yoga, carrom, chess and table tennis enable the child to test herself physically and mentally and be ready for all challenges thrown at her.